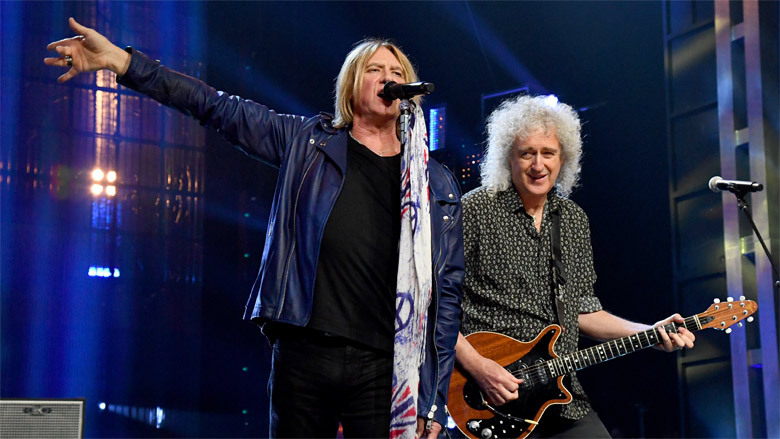 Close friends with Def Leppard for decades, Brian May has guested on stage with them numerous times, including for a performance of ‘Now I’m Here’ at the Freddie Mercury Tribute Concert for AIDS Awareness in 1992. Speaking on stage at Brooklyn’s Barclays Center, Brian spoke about joining Def Leppard at a Los Angeles gig in 1983 to play a mashup of Creedence Clearwater Revival’s ‘Travelin’ Band’ and Led Zeppelin’s ‘Rock and Roll’, which nearly ended with him being engulfed by flames. Fortunately for Brian, Def Leppard frontman and Planet Rock DJ, Joe Elliott, was on hand to save him. Elsewhere in his speech, Brian praised Def Leppard saying: “Not everybody realises that these guys are not just crowd pleasers. They also embody such an amazing technical excellence. They have it all. 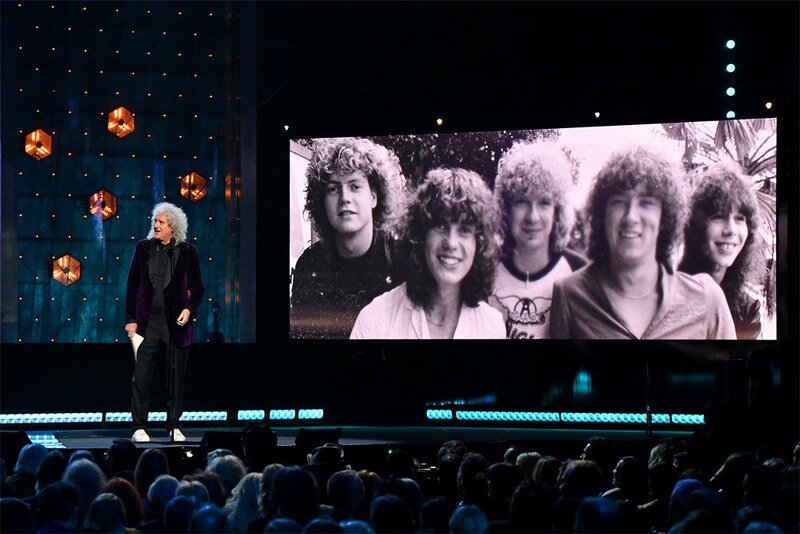 Following their induction, Def Leppard closed the Rock and Roll Hall of Fame ceremony on Friday night with an all-star performance of Mott The Hoople’s ‘All The Young Dudes’. The Sheffield rockers played the David Bowie-penned song alongside stars including Queen’s Brian May, Steven Van Zandt, The Zombies’ Colin Blunstone and Rod Argent, the Bangles’ Susanna Hoffs, and Mott The Hoople’s Ian Hunter. Stevie Nicks, Radiohead, The Cure, Roxy Music, The Zombies and Janet Jackson were also all inducted into the Rock and Roll Hall of Fame on Friday.